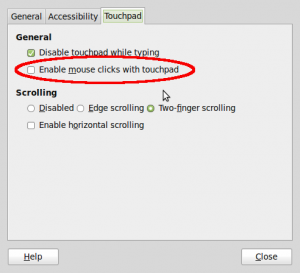 One of the most enraging things I’ve experienced with my Asus eeePC is that the TrackPad can be used to make a left mouse click by simply tapping. The problem with this is that it only clicks when you don’t want it to. 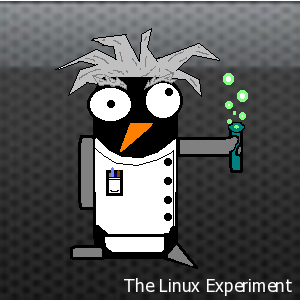 In Windows, changing this feature was a big pain, as I had to install a 3rd party utility. 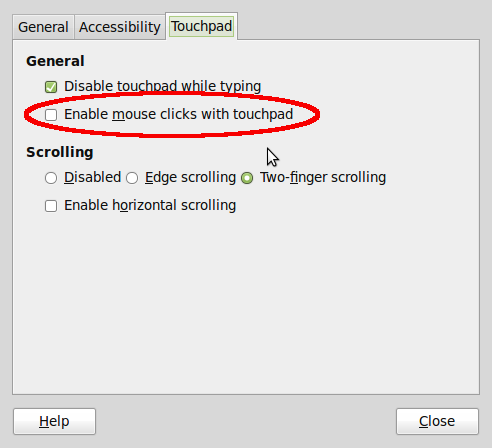 However, in Linux Mint 9, it is a simply checkbox in Control Centre under the “Mouse” panel.